The very best time to see the true design of your garden is in the dead of winter. The bones, the hardscapes and the focus of your garden can best be seen in winter. If trees, shrubs, and the “hardscapes” (fountains? trellises? backdrops? chotchkies?) look pretty good in winter then you have the basis for a garden that only needs to be filled in with annuals and perennials. Winter is when the design of your garden reveals itself. Take a few pictures from different perspectives. It helps. Garden literature…not always a big sell because most of the time it lacks pictures. 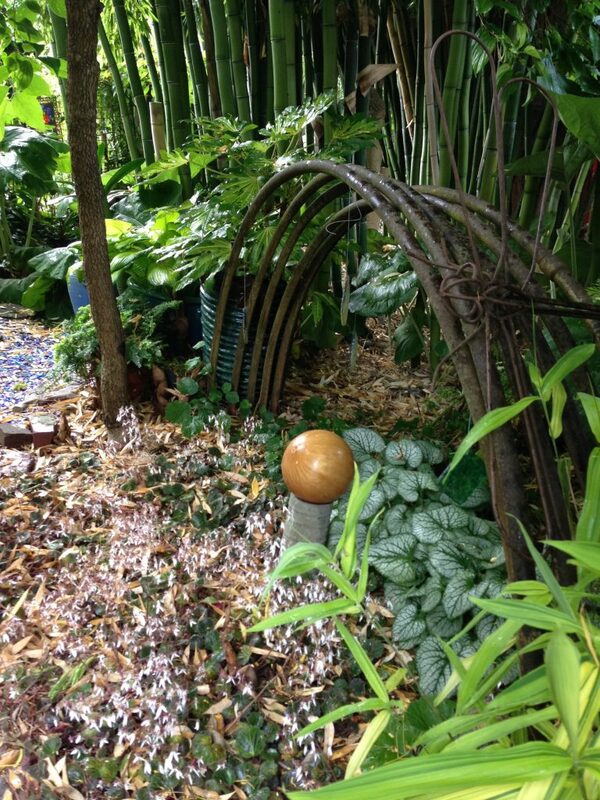 But garden lit can lift your spirits when “el” or “la” nina/o is howling outside the front door. 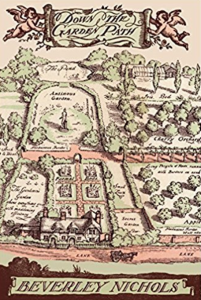 Some of the best and funniest garden literature is by Englishman Beverley Nichols. Start with “Down the Garden Path” and work your way through all eight volumes. His take on gardening in the English countryside. Written in the early 1900’s Nichols gives new meaning to “dry English humor”. An herb scented garden in summer is aromatherapy at its best. If rosemary is still going strong, cut a few sprigs, put it on a cookie sheet and put the cookie sheet in the oven at 250 degrees. Turn the oven off, open the door oven door and the fragrance fills the house with a wonderful summer “herby” smell. Double bonus…it smells like you’ve been baking. You can still put bulbs in the ground if you “forgot” to do it earlier. (THERE’S a job for an enterprising gardener with good knees!) But, the later in winter spring bulbs are planted, the shorter the stems. A reminder about daffodils. Squirrels and deer don’t like them. 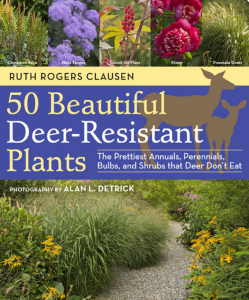 Speaking of deer…there is a Timber Press book, “50 Beautiful Deer-Resistant Plants: The Prettiest Annuals, Perennial, Bulbs and Shrubs that Deer Don’t Eat”. 224 pages, $19.95. You can get a jump on planning a garden the deer won’t enjoy. It gets expensive to serve up a “salad” of tulips, roses, daylilies, impatiens, hostas and entire vegetable gardens. The price of a book saves you the high price of “deer salad”. The worst advice I have heard in a very long time is, “I tell everyone to buy cheap tools, throw them away and buy new ones every year”. There are so many things wrong with that statement! To begin with…what a waste! Not to mention, cheap tools make gardening an unhappy chore and not a pleasure. Gardeners don’t “need” a lot of tools but a small arsenal makes playing in the dirt that much more enjoyable. The heavier the tool, the more work is done by the tool and not the gardener. Lighter tools need heavier hands. Every gardener needs the basics: gloves, pruners, digging fork, digging spade, unbendable trowel, weeding hoe and a long and short handled rake. If a gardener is on your gift list you can’t go wrong with the “basics”.